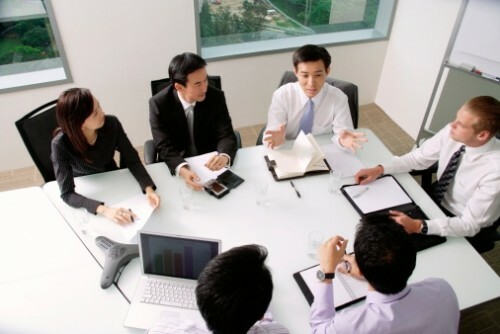 THE biggest obstacle in grooming Singaporeans to lead businesses is their lack of international exposure, according to top executives of multinational corporations (MNCs) at a human resource conference yesterday. "MNCs need to connect with the rest of the world... and it's very challenging to find strong (Singaporean) leaders with a real international background," said Microsoft Singapore managing director Helene Auriol. This gap in experience and dealing with Generation Y workers were top concerns expressed at a 45-minute panel discussion on Singapore's staffing challenges. The session was part of the STJobs HR Summit held at Marina Bay Sands Expo and Convention Centre. The two-day conference, at which more than 4,000 HR and business professionals are expected, ends today. The five top executives on the panel said that while Singaporean hires are talented, many not only lack global exposure but also appear reluctant to overcome it. When Singaporeans are faced with a different environment, "they just complain that it's different from Singapore", said Canon Singapore president and chief executive officer Kensaku Konishi. But the head honchos are not giving up, saying they send potential Singaporean leaders on overseas stints to build their international experience. For Mr Eric Teng, a bigger problem is dealing with an impatient younger generation. Said the chief executive of property and hospitality at The Straits Trading Company: "If they want to quit, they quit." Generation Y, generally defined as those born between 1980 and 2000, also posed a headache for FedEx Singapore managing director Khoo Seng-Thiam. He called them "a very high-maintenance management group". Said Mr Khoo: "One of the biggest challenges is that it's very difficult to understand the younger generation in terms of their aspirations." Both he and Mr Teng said their companies try to retain Gen Y staff by taking a more collaborative, personal approach in managing them. As for the Government's continued tightening of foreign manpower policy, the panellists were more sanguine. "You have to make the best of the markets you operate in," said Mr Jan Smits, InterContinental Hotels Group chief executive for Asia, Middle East and Africa. Changing the business model so it can make do with fewer people is its way around the problem. For instance, the two new Holiday Inn Express hotels which the group is opening will provide only breakfast and no other food and beverage service, as it is one area where workers are particularly hard to find. "The issue is not so great that we will leave," said Mr Smits. "It's a very, very attractive market."